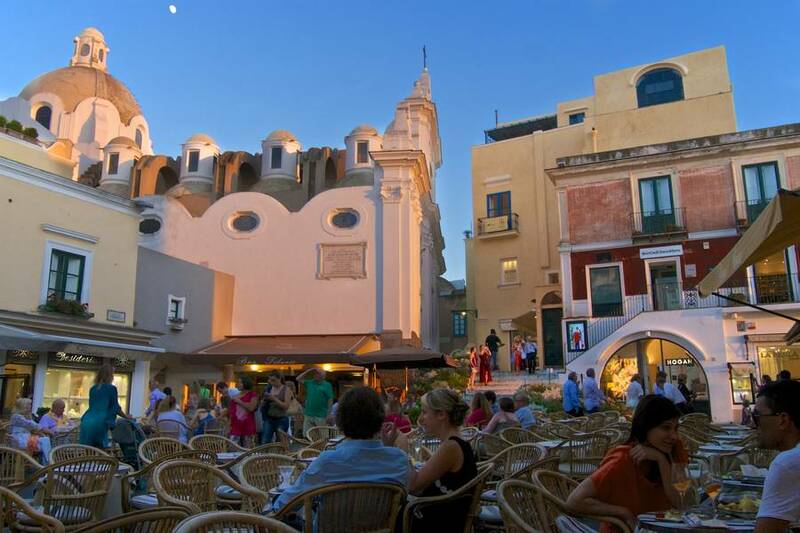 The tiny Museo Cerio is a jewel of a museum in the center of Capri town. No one wants to spend their time on breathtaking Capri inside a museum, but take a few minutes out from visiting Capri town to stop in the tiny yet lovely Museo Cerio just off the famed Piazzetta. The halls hold an eclectic mix of collections covering botanics, natural history, and zoology...but the most interesting part of the museum is the venue itself: a restored historic island home. The museum is located in a noble palazzo where the decor and flooring date to the building's origins in the last century. While wandering the halls, you can imagine what it must have been like to live here in the 1800's. Among the most charming objects is the goat skeleton, the "capra" from which the island's name originates...indeed, Capri comes from the Latin Capreae, or goat pasture. From the top floor, you can look out from the balcony over the Piazzetta and snap a few pictures of Capri town from the heights of the Museo Cerio Centro Caprense.